Overtime: For his senior project in college, Dave Guinness explored whether a new high-tech digital signal processor (the Texas Instruments TMS2010) could be used to process full-bandwidth audio signals, which at the time, wasn’t actually a thing yet. SCN: When did you know that you were destined for a career in audio technology? Dave Gunness: It all started with playing music. In order to play out, I needed equipment. I couldn’t afford to buy what I needed, so I built my own speakers. I was instantly fascinated by the mixture of art and science required by loudspeaker design, but I didn’t yet realize you could make a career of it. A bout of laryngitis showed me how risky music could be, and talking with some awesomely good local musicians who were scraping by on next to nothing made me realize that being a good player didn’t guarantee you could make a living at it. So, I decided to try the loudspeaker thing as a profession and play music for fun. You could say it has worked out for me. SCN: From your days in Madison, WI playing gigs using loudspeakers you fabricated yourself, how were you able to translate this extracurricular life to your academic studies in electrical and computer engineering at the University of Wisconsin? DG: When I started at Madison, there wasn’t a program specifically oriented toward audio. Electrical engineering was as close as I could come. I was very lucky though that in my second year, Dr. Richard Greiner created an electroacoustics program as part of the electrical engineering school. It was great. I got to take a number of courses that were specifically focused on audio and loudspeakers, combined with programming and signal processing courses. Looking back, I think it’s amusing that my senior project explored whether a new high-tech digital signal processor (the Texas Instruments TMS2010) could be used to process full-bandwidth audio signals. I’m definitely dating myself here, but that wasn’t actually a thing yet. SCN: How did your early experiences at Electro-Voice, applying the budding principles of computer analysis to loudspeaker design, shape your vision for improving loudspeaker performance? DG: Personal computers were very new then, so everything had to be coded from scratch. It was a gradual process, starting with simple Thiele-Small modeling, moving on to horn modeling, circuit analysis, directional response visualization, and culminating in filter analysis. Each of those was a separate program, though, and I realized that what was really needed was a single program that integrated all of those things. That’s essentially what we have now at Fulcrum. We can combine a passive crossover with DSP filters and measured loudspeaker response, and instantly see the effect of any subsystem on the directional and transient response. I can’t imagine designing loudspeakers any other way, now. SCN: Later on in the next phase of your career at EAW, you were required to perform significant fieldwork for custom purposes. How did this inform your work differently and evolve your technical perspective? DG: It’s hugely important to spend time where your products are used and your customers work. You find out what’s important to them, what their recurring challenges are, and how your loudspeaker designs can improve their results and make their lives easier. It’s also a fertile source of ideas for new and innovative products, but those ideas go beyond sound quality. Sometimes it’s as simple as realizing that moving the suspension points can make it easier to rig the loudspeaker. Those things are important, too. SCN: Through this depth of experience, you’ve earned several patents over the years and presented various publications to AES, ultimately co-founding Fulcrum Acoustic in 2008. You’ve developed a unique loudspeaker design philosophy where you use DSP to solve problems. How does this differ from standards in the industry, and what has it enabled Fulcrum to achieve with its products? 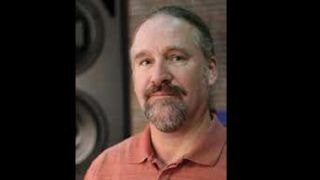 DG: Most loudspeaker designers see DSP as mere “sweetening.” They make the loudspeaker sound as good as they can without DSP, and then use DSP to make it a little better. Personally, I think that leaves a lot of opportunities on the table. A big part of loudspeaker design is the art of compromise. For example, a horn that produces a desirable coverage pattern may not have very good transient response. In the old days, we would sacrifice coverage to improve the transient response. Now, with Fulcrum’s TQTM (Temporal Equalization), we don’t have to sacrifice coverage. We can design a horn with ideal directional behavior, and then use DSP techniques to get much better transient response than we could have gotten by sacrificing coverage. Of course, that’s just one example. There are many others. SCN: How are today’s trends in popular music, with a devotion to low frequencies and the use of electronic sampling and effects, influencing loudspeaker design? DG: With regard to low frequencies, speaker companies have reacted to the popularity of EDM in two opposite directions. Some companies have started producing enormous subwoofers because certain customers want that. Other customers don’t want to see big stacks of subwoofers, but they still want to hear huge low end. So, we’ve gone the opposite direction and concentrated on making very loud subwoofers as small as possible. It’s more difficult in engineering terms, but as a result, we’ve created a special niche. Lindsey M. Adler is editor of SCN. Follow her on Twitter @lindseymadler.